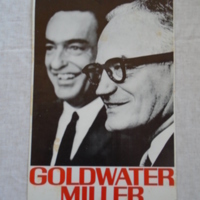 Goldwater-Miller campaign poster from the 1964 presidential campaign. Goldwater was originally from Arizona. Goldwater Lost to Lyndon B. Johnson.